Sunshine Stars have sacked their Coach, Duke Udi for what the club described was due to ‘insubordination and gross misconduct’, but the Coach fired back labeling his former employers saboteurs. Udi who was appointed last season helped steer the club from the cusp of relegation to topflight safety, but got the axe on Tuesday. Sunshine Stars have managed just four wins from their Twelve league matches played so far this season. [h/t AOIFootball] in a statement signed by the Commissioner for Sports and Youth Development, Mr Saka Yusuf-Ogunleye Coach Udi was relieved of his job after a consultative joint meeting. 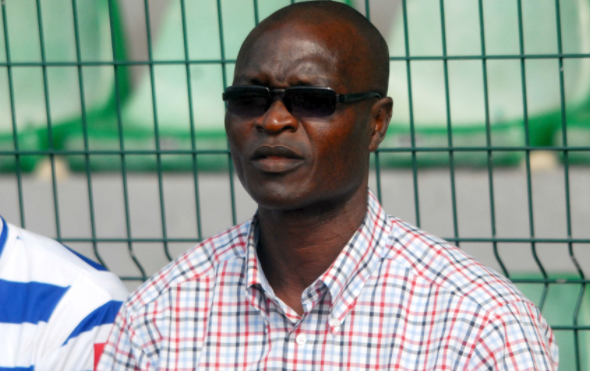 The club have named Henry Abiodun as interim coach. In his response, Udi claims the club owes him outstanding salaries and bonuses, including a ₦750,000 balance for keeping the team in the top flight last season as per Akanni Seyi [codedreporter]. ‘They have to pay me my one year contract. They have to pay me my balance of ₦750,000 for retaining the team in the Premier League. My January and February salaries. My seven match bonuses,’ Udi said. Udi also slammed the club’s hierarchy for instigating stadium raucous and their lack of support in the pre-season. ‘They did not give a dime to buy players. No preseason training but I was able to do things in the Premier League. I cant even use my new players because of litigation problems.